It started when Olivia was 10 months old. My parents had her while Robert and I had some time to ourselves. Little did I know she was up to something. 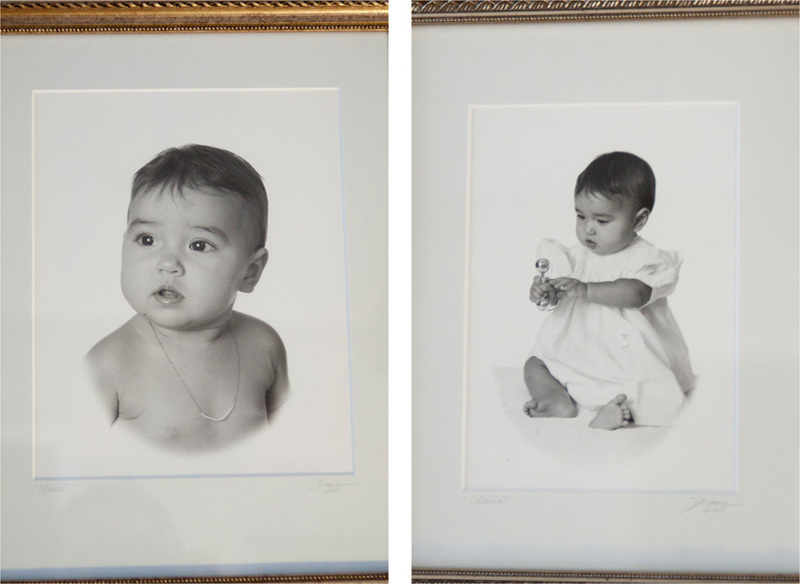 At Christmas that year, she gifted me with portraits of Olivia! I think I cried! They were so sweet and precious. 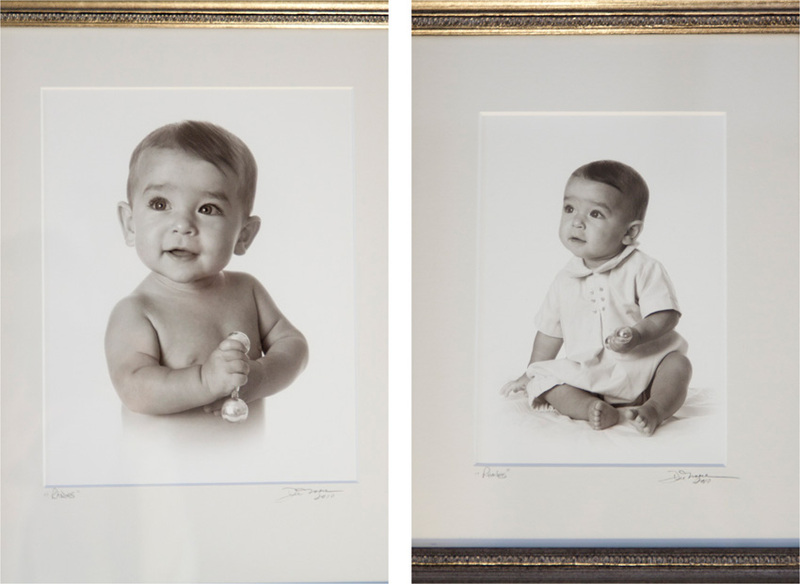 So, with every child since then, we've continued to get their pictures done at the same age. The girls wear the same dress, boys the same little outfit. The girls are wearing my add-a-pearl necklace. And all are pictured with the same silver rattle that was given to Olivia when she was born!! So this past Christmas, we received Rhodes' portraits! The now all hang together on our wall in the den. I find myself looking at them often trying to figure out who looks like who. People offer their opinions ALL the time - and the opinions differ greatly. Anyways, here are all the kids pics taken around the same age. These are beautiful!!!! 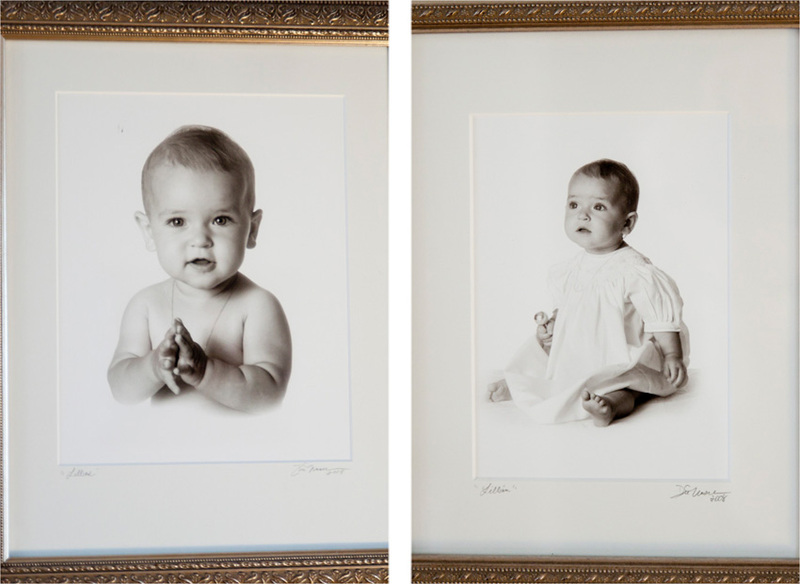 I had professional pics of Will taken at 13 months and treated myself to a very large hand tinted one....what a splurge but one I will cherish forever. 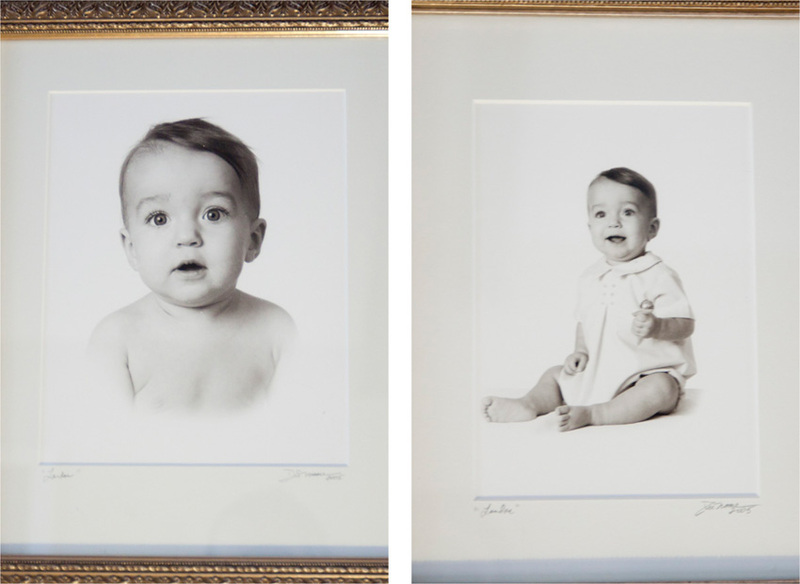 And I want to do the same thing-professional pics of all my children at that age in the same outfit. Love it!! And love how they are framed. So simple, yet stunning. One thing is for sure...they are ALL beautiful and I could eat sweet Rhodes up!!! oh my goodness that is so sweet!!!!! i think they look like themselves. they look related, but look like themselves. so sweet!!!!!!!!!!! These are beautiful! Do you mind sharing who took them? Bride and Groom to Be!